Divvy Bikes has hit their first bump in the road this winter. For the first time since launching in the summer of 2013 the Divvy stations closed on Thursday and have remained that way. 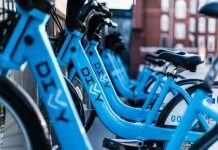 According to their twitter feed, the Divvy stations closed at roughly noon on Thursday and will stay closed until noon on Saturday, barring any further announcements. 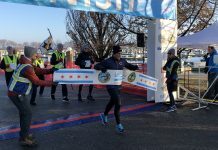 The closure was due to the heavy snow and diving temperatures experienced throughout Chicago on Thursday. Friday morning the company announced it would remain closed throughout the day and in a release on their website they said the reopening would come on Saturday, unless the weather takes a worse turn. Divvy users who were on their bike when the stations closed were still able to return their bikes, but unable to start a new ride. 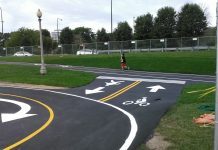 Divvy announced in October that they would remain open throughout the winter with the only change being a reduced number of bikes. When they first stated they would be open through the cold weather months it was with the caveat that they would close under extreme weather. They said then that it would be as much to protect the riders as the bikes. There was no announcement this week as to if this closing was because of a malfunction or precaution. In that same release posted on Friday they said they will take extra steps to make sure every station is safe and fully operational before reopening. While the amount of cyclists on the Chicago streets is always greatly reduced in the winter months, Divvy has been a hit throughout the winter. According to the bike sharing company there have been just shy of 45,000 trips in the month of December alone. More information on the reopening can be found on the company’s website or twitter feed. They also ask for anyone with further feedback to email them at [email protected]. After briefly opening back up on Saturday, Divvy announced they would once again be closing in preparation of extreme weather. On Sunday afternoon the bike sharing company announced they would stop letting users rent bikes at 3pm and remain closed until further notice. While no end date is set, the release did mention the extreme weather expected both Monday and Tuesday. Read the full release here. Divvy has announced that their bike stations will reopen on Thursday after the extreme cold weather that hit early in the week. Stations closed on Sunday when temperatures in Chicago dove below 0 and have remained closed since. Although temperatures rose on Wednesday, the bike sharing company is using the day to clear off the stations and get everything up and running. According to a release on their website the stations will be ready to go by Thursday morning, although an exact time is not listed. Read the full release here.